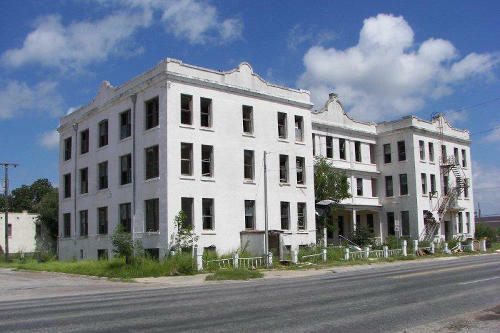 Texas : Towns A-Z / South Texas : "Rooms with a Past"
A hotel built by Viggo Kohler opened in 1915 when Hebbronville's population was 400. The hotel stands today. The original part of this hotel was built by C. F. Luque in 1915 for the owner, Viggo Kohler, to accommodate businessmen and area travelers. Soon after it opened, Hotel Viggo served as a fortress when area ranchers feared an attack by Pancho Villa's men. 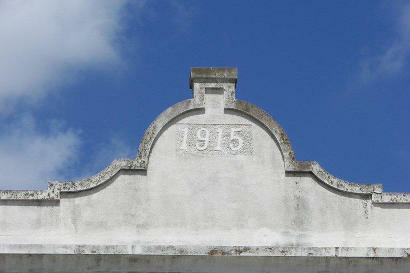 As a result of the town's oil boom, a south wing was added in 1924. 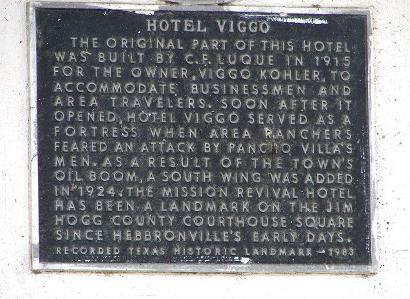 The mission revival hotel has been a landmark on the Jim Hogg County Courthouse Square since Hebbronville's early days.